WASHINGTON – U.S. Customs and Border Protection plans to transfer at least 300 officers next month from the nation's airports and northern border to southern border outposts overwhelmed with incoming asylum-seekers, a prospective move that's already raising concerns that it could leave U.S-Canada border crossings short-staffed at the start of the heavy summer travel season. Customs officials revealed their plans Thursday in a conference call with institutions that would be affected by the move. Two sources familiar with the agency's plans told The Buffalo News after the call that the agency said it plans to temporarily shift at least 300 officers southward in May to deal with the crush of newcomers entering the U.S. from Mexico. The Customs officials did not specify which border crossings or airports would lose personnel because of the move, the sources said. But Rep. Brian Higgins, the head of the Peace Bridge Authority and the president of the union that represents Buffalo-area Customs officers all expressed worries that the agency would send officers from Buffalo to the Rio Grande Valley region in Texas where most undocumented immigrants arrive. Higgins said any transfer of Customs agents from the Buffalo area to the southern border could lead to backups at the local bridges into Canada. That being the case, he wrote a letter Thursday to Kevin McAleenan, the acting secretary of homeland security, to protest any move of personnel away from the northern border. "Rather than addressing border challenges in a responsible way, this move expands them," Higgins wrote. Higgins is by no means alone in that concern. 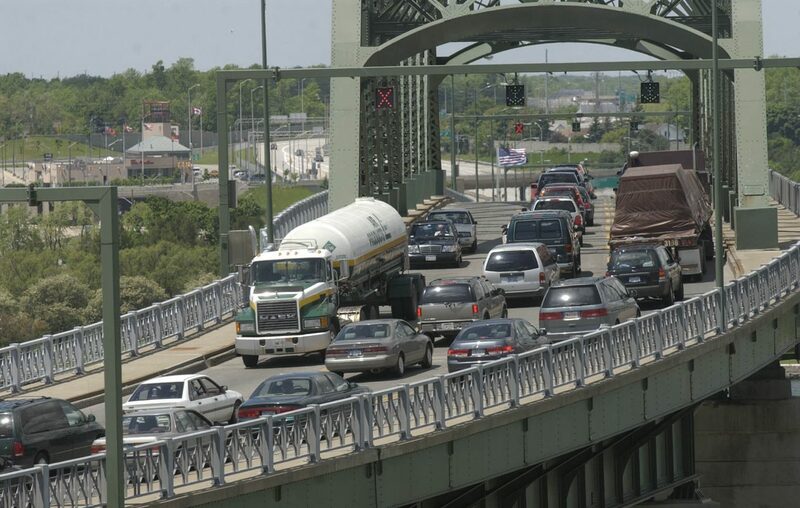 "That would clearly have an impact on us, particularly as we move into the busy summer season," said Ron Rienas, general manager of the Peace Bridge Authority. "Really it couldn't come at a worse time for us, because the traffic picks up in May, and it's busy from May to October." Customs and Border Protection spokespeople in Washington declined to answer questions about the pending mandatory shift in personnel, which agency officials laid out only two days after they said in a media conference call that they would be asking customs officers to volunteer to go to the southern border. "To address the Border Patrol’s urgent need we are soliciting CBP Officer volunteers from our CBP airport operations and our northern border to continue to support the Southwest border Border Patrol," said Randy J. Howe, executive director of operations for the customs agency. The Customs agency's union contract requires it to first seek volunteers for such transfers before actually forcing officers to accept 90-day assignments far away from home. Any officer temporarily transferred to the southern border can expect to endure "horrible" conditions, said Paul Kwiatkowski, president of National Treasury Employees Union Local 154, which represents hundreds of customs officers based in Western New York. "I've seen pictures of the conditions that these guys are forced to stay in," Kwiatkowski said. "They're being forced into old military bases, into buildings that the military themselves won't even stay in. They're littered with cockroaches. They're disgusting." Customs officers will be helping out the U.S. Border Patrol, which finds itself overwhelmed with asylum-seekers, said Brian Hastings, chief of law enforcement operations at the Border Patrol. "The Border Patrol is facing an unprecedented humanitarian and border security crisis," Hastings said on the Tuesday conference call with reporters. "We're seeing record numbers of apprehensions, large groups and high numbers in custody. And we've arrived at the breaking point." The Border Patrol apprehended 92,000 people at the southern border in March, up 35 percent from February, Hastings said. The recent influx of undocumented immigrants is the largest the nation has seen in a dozen years, and it's decidedly different than earlier influxes in one important way. This influx doesn't consist primarily of single travelers whom the U.S. can simply deport. More than 58 percent of those who crossed the border illegally in March came as part of families, most of them fleeing three troubled Central American countries: Guatemala, Honduras and El Salvador. These families arrive in the U.S. seeking asylum – and as such, under U.S. law, they can't immediately be deported. "As more and more adults with children are released into the U.S. pending their immigration proceedings, word of mouth and social media have spread news and more immigrants are emboldened to make the dangerous journey," Hastings said. President Trump has railed against the influx of asylum-seekers, citing it as evidence that the U.S. needs to build a wall at the Mexican border. More immediately, though, Customs and Border Protection officials said they need more officers working at the southern border simply to handle the heavy caseload. Some 545 customs officers from Texas and California have already been reassigned to help the Border Patrol, thereby creating border backups in El Paso and Laredo, Texas, as well as in San Diego. "As a result, travelers and shippers are experiencing increased wait times as they approach the border along the Southwest border for all modes of traffic including pedestrian, vehicles and commercial trucks," Howe, the Customs official, said.